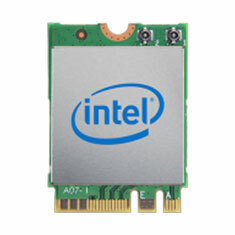 The Intel Wireless-AC 9260 is the first Intel Wi-Fi module that provides Gigabit Wi-Fi speeds. When using 160MHz channels, it can deliver up to 1.73Gbps maximum theoretical throughput, nearly 12x faster than baseline 1x1 BGN (150Mbps) Wi-Fi used in today’s PCs. Bluetooth 5 provides 4x2 the range over Bluetooth 4.2 Low Energy with the same power, doubles the transmit speed and improves the broadcasting functionality. This translates to better coverage, improved location-based services and simpler connectivity between devices.